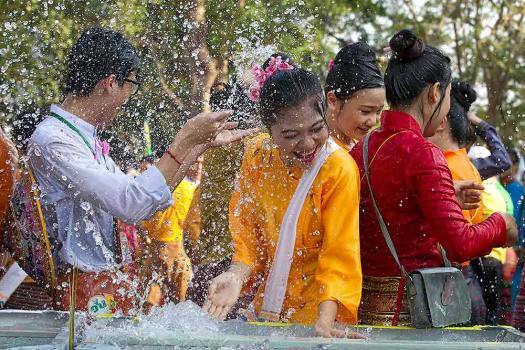 Clad in traditional attire, ethnic Shan people throw water at each other during a traditional water festival in Yangon, Myanmar. 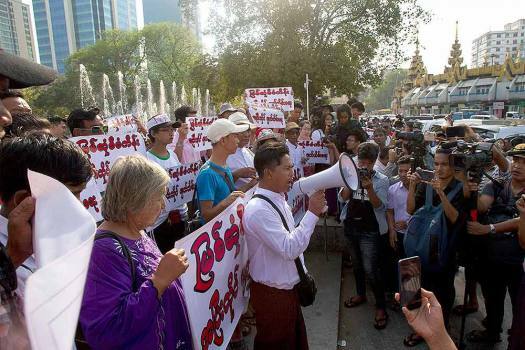 Activists stage a rally against Myitsone dam project on the Irrawaddy River in Kachin State in front of city hall in Yangon, Myanmar. 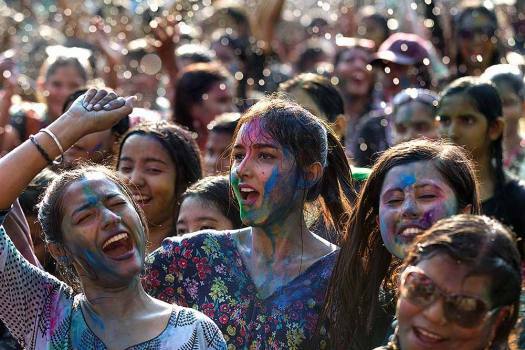 Revelers dance as they celebrate Holi, also known as the Festival of Colors, organized by the Hindu community at a park in Yangon, Myanmar. 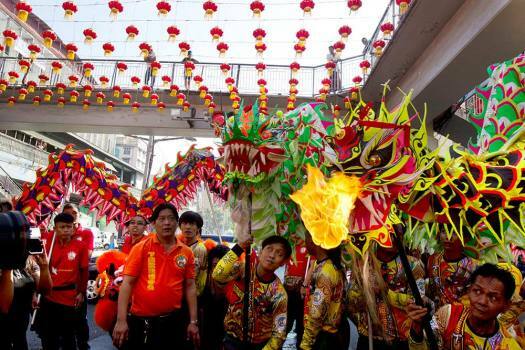 Participants take part in a flame-breathing lion dance during the Lunar New Year celebrations in the Chinatown area of Yangon, Myanmar. 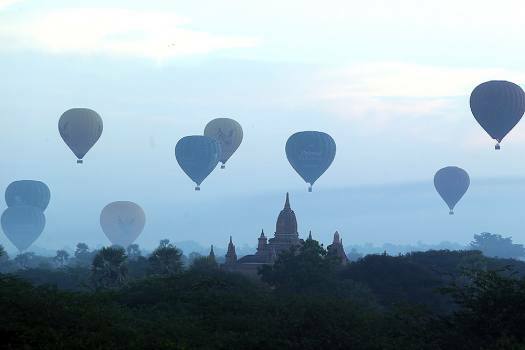 Hot air balloons fly over the Myanmar's old temple just before sunrise in Bagan, Nyaung U district, central Myanmar. 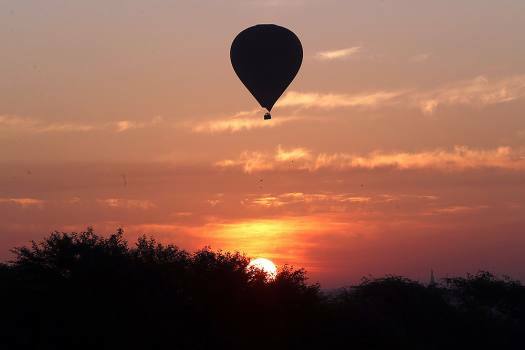 A hot air balloon flies over the Myanmar's old temple just during the sunrise in Bagan, Nyaung U district, central Myanmar. 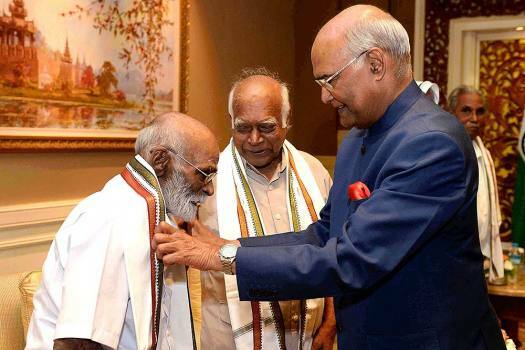 President Ram Nath Kovind felicitates the veterans of INA, in Yangon, Myanmar. 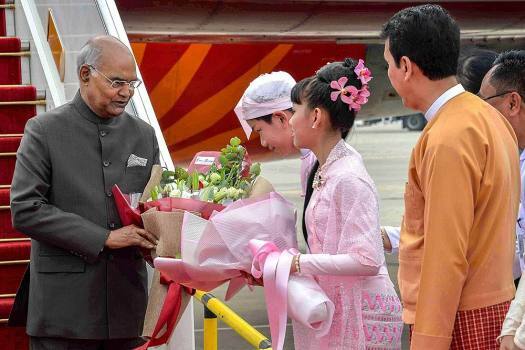 President Ram Nath Kovind being welcomed on his arrival at Yangon International Airport, Myanmar. 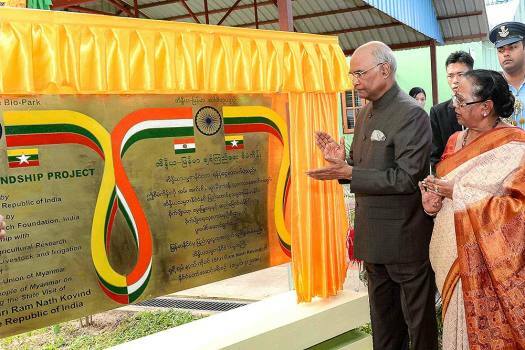 President Ram Nath Kovind with his wife Savita during a visit to Rice Bio-Park in Nay Pyi Taw, Myanmar. 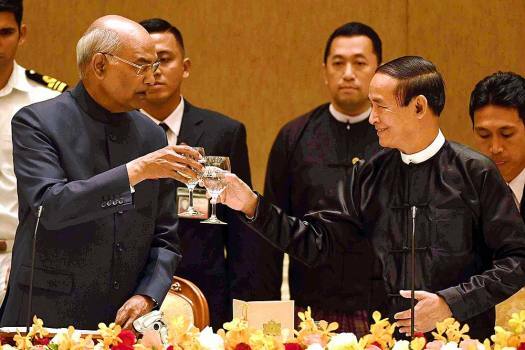 President Ram Nath Kovind attends a banquet hosted by his Burmese counterpart U Win Myint at the Presidential Palace, in Nay Pyi Taw, Myanmar. President Ram Nath Kovind with Myanmar's State Counsellor Aung San Suu Kyi at a meeting in Nay Pyi Taw. 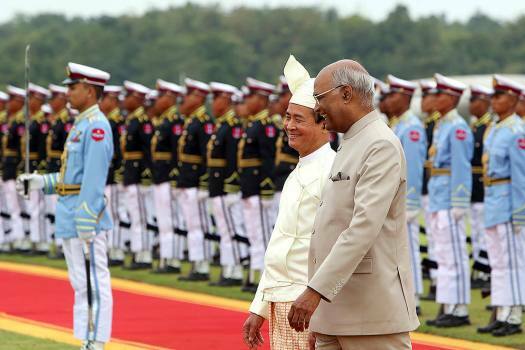 Myanmar's President Win Myint, center right, stands with India President Ram Nath Kovind, center left, during a welcome ceremony at the Presidential Palace in Naypyitaw, Myanmar. 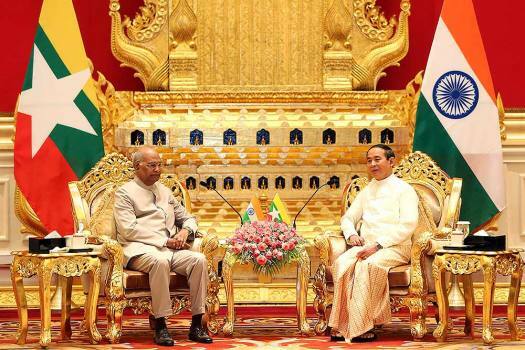 Myanmar's President Win Myint, right, speaks with India President Ram Nath Kovind during their meeting at the Presidential Palace in Naypyitaw, Myanmar. 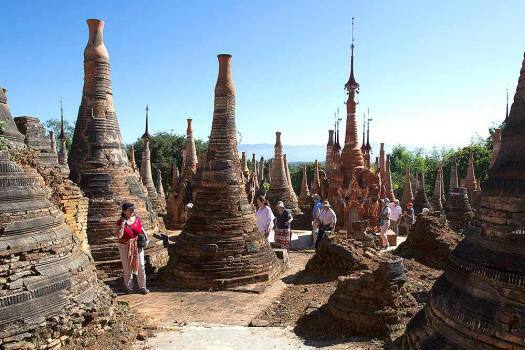 Tourists walk among ancient pagodas as they visit Indein Village in Innlay lake, southern Shan State, Myanmar. 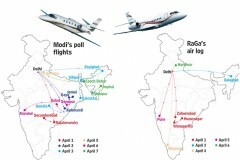 Sources said the camps were destroyed inside Myanmar with the active support of the Indian Army in an intense operation lasting over 10 days. 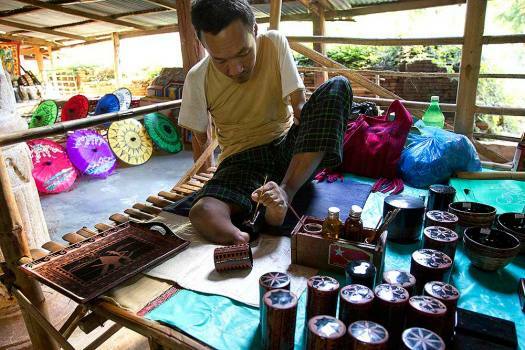 With Elections A Year Away, Will Myanmar Army Allow Suu Kyi To Reform Constitution? 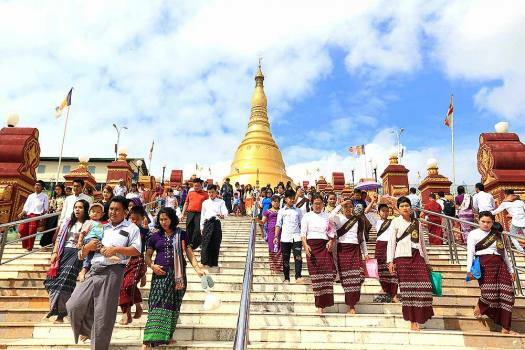 The ruling NLD has moved a proposal in Myanmar parliament to form a committee to look into changes in the Constitution which it feels is "not in line with the democratic system”. But the powerful military may resist any such move. 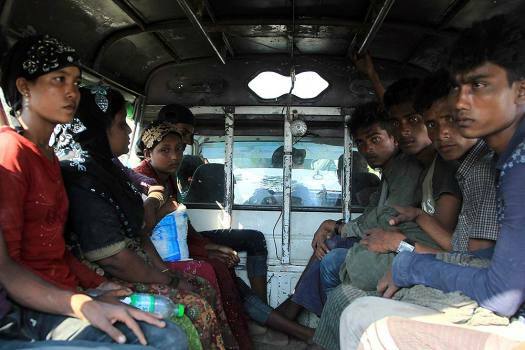 Prosecutors say the two had classified information regarding security operations in Rakhine state, from where hundreds of thousands of Rohingya Muslims fled during an army-led crackdown the United Nations has dubbed 'ethnic cleansing'. 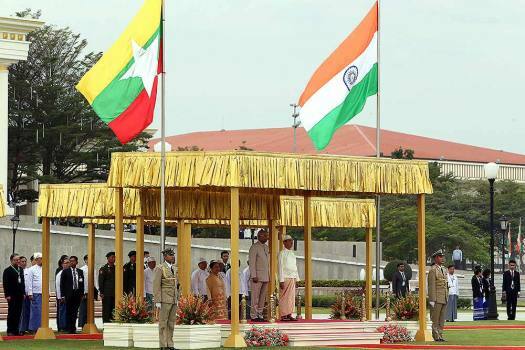 India had signed a development programme for Rakhine late last year which was designed to assist the Myanmar government to build housing infrastructure for return of displaced persons. A Bangladesh border guard official said that a 15-year-old Rohingya refugee was shot in the elbow on November 4 while grazing cows after multiple rounds were fired from a security post across the demarcation line. 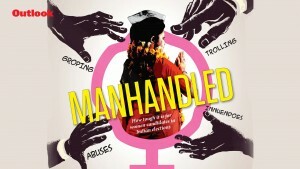 The case has drawn outrage as it has been seen as an attack on media freedom. "Many of the almost 700,000 Rohingya Muslims who fled from Myanmar "bear the physical and psychological scars of brutal sexual assault." Sixty-six-year-old Win Myint took his oath of office today during a joint session of Parliament, pledging loyalty "to the people and the republic of the Union of Myanmar." The UN rights expert had warned that the crackdown on Myanmar's Rohingya minority bore "the hallmarks of genocide"
On Modi’s watch, India has evolved a softer, defter touch with its neighbours. 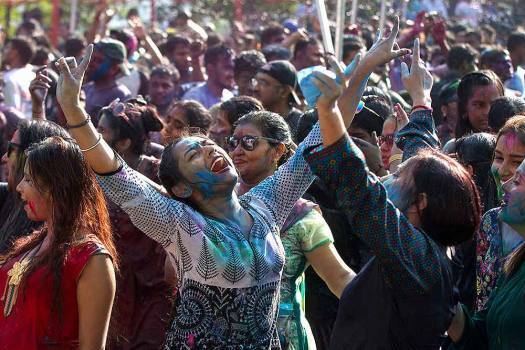 This course-correction could usher trust and prosperity. 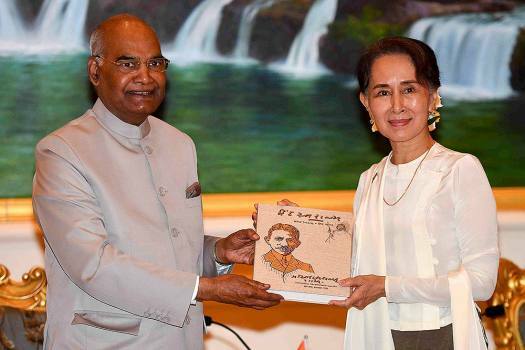 As Rohingyas flee their burning homes, Aung San Suu Kyi’s credibility takes a hit. Yet, her situation is a complex one.